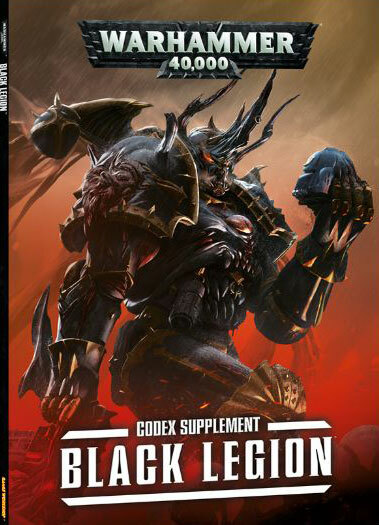 A quick post about the imminent release of the revised Black Legion supplement. I’m definitely getting it. It looks like the pre-order is sold out in the Games Workshop online store as of today, but I understand my local Games Workshop store will have some copies. So, yeah, it’s happening. I’ve read the leaks online, and while the revision seems to be basically just the former supplement with new formations, I think it will be worth it. I like the formations for the most part, though I wish they’d done one with Obliterators as an option. But, right off, I can use several of the formations together with the models I already have painted. It’s not everything Chaos Space Marines should have, but it’s a step in the right direction with no countervailing backwards steps. I’m enthused. I actually just sold my previous version to help fund the buy (which should be break-even; yay!). Yes, the revised version isn’t hardback with a dust cover, but then, I’m not a collector of the books. I’m also excited about some other things I’m hearing rumors about, but I’ll wait on that for another post.